Following the successful launch last year of 5 View legal apps (in areas such as estate planning, business succession and SMSFs), we have now developed and launched another Apple and Android app. A MoD can be an essential estate planning tool. Importantly however, MoDs are generally only morally (not legally) binding and therefore do not change the provisions of a will. 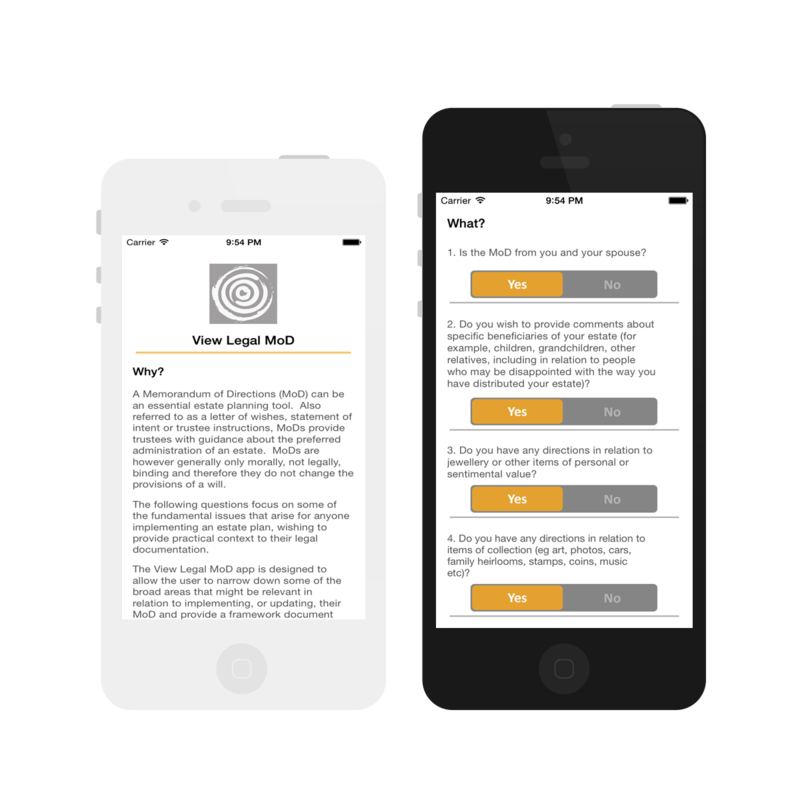 The View Legal MoD app is designed to allow the user to narrow down some of the broad areas that might be relevant in relation to implementing, or updating, their MoD. 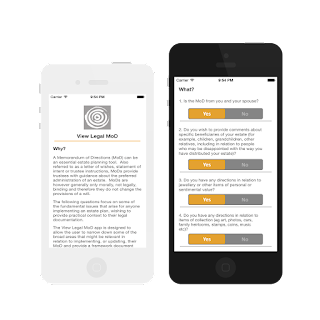 Depending on the answers provided, the app generates a free template memorandum of directions in PDF and word, allowing the user to then use this as a framework to complete the document as they wish.